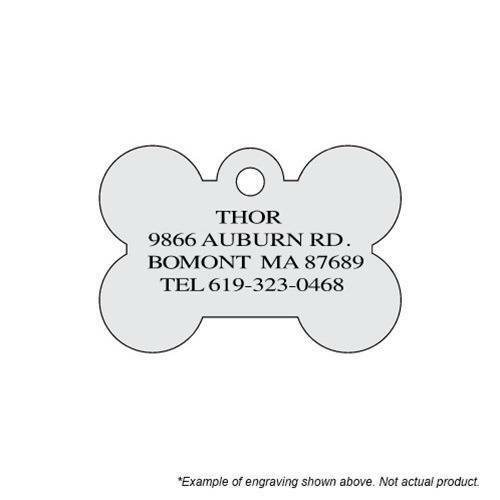 Protect your best friend with this ID tag that comes with FREE ENGRAVING! Each tag is made of brass, measuring 1-1/2" x 1", and painted with colorful calaveras. Protect your best friend with this ID tag that comes with FREE ENGRAVING! 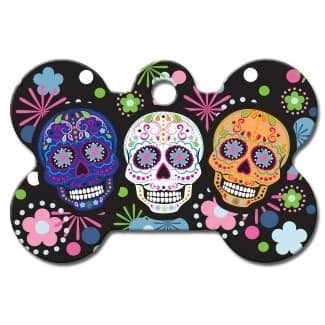 Each tag is made of brass, measuring 1-1/2" x 1", and painted with colorful calaveras. A split ring connector is included with each purchase. If frequent, easy collar changes are desired, consider the lobster claw styled connectors (sold separately).